The Need for anywhere/anytime access to data and applications from any smart device is fomenting a trend by CPA firms — and their small manufacturing cloud clients — to move mission-critical software applications, like desktop-version QuickBooks, to the cloud. See also: Small Manufacturing Cloud Computing, it’s a Revolution! Small manufacturer owners and managers are rapidly recognizing that cloud and mobile technologies provide easy, cost-effective access to applications that streamline operations and enable them to manage projects fast and efficiently. After employing new manufacturing software on the cloud, small manufacturers instantly obtain a better understanding of how their facilities function, how to estimate resources for new projects and how to better manage resources. The end result is increased efficiency, improved customer satisfaction, lowered operational cost and, resultantly, increased profits. You needn’t be a rocket scientist to know that the only way to ensure top mobility of your workforce is through the immediate and reliable access to all available mobile devices. The great thing about an small manufacturing cloud is that you pay only for what you need and use. The local IT model required payment for a specific IT configuration during a strictly determined period of time regardless of your actual business requirements. In this way, the small manufacturing cloud gives you only what your business really needs. When it comes to the security concerns, we have to mention that your remote workforce will get the adequate access passwords. You can rest assured that a qualified cloud service provider (like Cloud9 Real Time) take the utmost care of ensuring that “unwanted guests” aren’t knocking on your cloud business doors. With small manufacturing clouds, mobile workers can access applications like Sage and Intuit applications from anywhere, when and where that suits them the most. In terms of functionality there’s no difference between mobile and desktop platform features because it IS desktop, cloud-hosted. 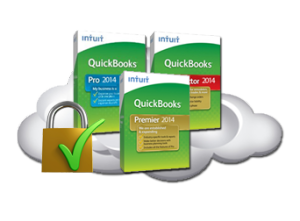 Beyond the seamless operational benefits of QuickBooks hosting on the small manufacturing cloud and its remote worker advantages, with the use of cloud technologies you can forget about installation or configuration troubles. The cloud provider will take care of it for you. We don’t have to tell you how this influences your costs saving policy, do we? The unprecedented adjustability of the system strongly improves your competitive capacity regardless of your business size. As your CPA might say, it all adds up: private server hosting, as the foundation of a small manufacturing cloud, is definitely a must have for the CPAs and SMB manufacturers, who are really serious about taking the full advantage of their mobile workforce. 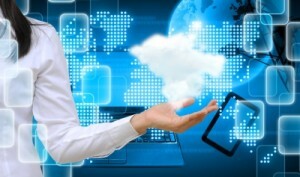 Cloud9 makes moving to small manufacturing cloud computing easy. We garnered more industry awards in 2012-14 than all other SMB cloud service providers combined, including the Sleeter Awesome App, the K2 Quality Technology Award, the CPA Practice Advisor’s 2012 and 2013 Reader’s Choice Award, and the 2012-13 UP Award as one of the Best Cloud Hosting companies, to name a few.